When it comes to the manufacturing process of urethane wheels, we focus on the best quality and custom precision to our customer’s specifications. That’s how we are able to create some of the best industrial products in the industry and are a leading provider of urethane wheels. 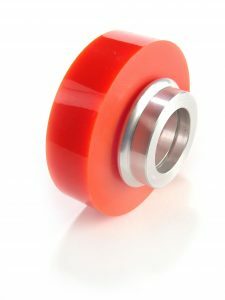 Additionally, we take great pride in the ability to create urethane wheels in all shapes, sizes and a variety of durometers. 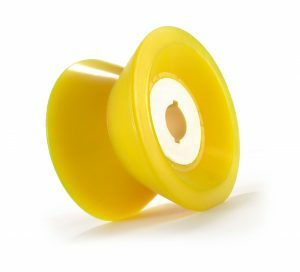 Our polyurethane wheels have gained us a reputation of quality, durability, and longevity, but how do we do this? How are we able to manufacture top of the line urethane wheels? When we design and manufacture our urethane wheels, we always have the end result and client’s needs at the forefront of our mind. If you need a specific tolerance, diameter or firmness, we have it covered. No matter your application or desired outcome when it comes to urethane wheels, we can turn that idea into reality. 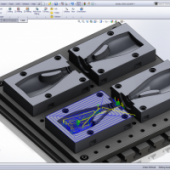 This flexibility allows you to select a wheel specifically geared for your project. No more trying to “make due” with what’s available. 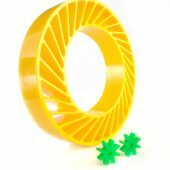 Now, you can create a custom end product that is that much more smooth, clean and of a greater quality with our precisely designed polyurethane wheels. 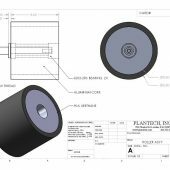 What Kinds of Urethane Wheels Do We Offer? Focusing on quality and allowing customer’s input into the designing and custom aspects of creating the urethane wheels is how we have become a leader in the industry. Please Contact us so we can discuss your custom urethane wheels application!